﻿ Lapaloma Pension, Jeju Island | FROM $33 - SAVE ON AGODA! Have a question for Lapaloma Pension? Whether you're a tourist or traveling on business, Lapaloma Pension is a great choice for accommodation when visiting Jeju Island. From here, guests can enjoy easy access to all that the lively city has to offer. For sightseeing options and local attractions, one need not look far as the hotel enjoys close proximity to Hyeopjaegul Cave, Hyeopjae Beach, Hallim Park. The facilities and services provided by Lapaloma Pension ensure a pleasant stay for guests. To name a few of the hotel's facilities, there are free Wi-Fi in all rooms, private check in/check out, express check-in/check-out, Wi-Fi in public areas, car park. Hotel accommodations have been carefully appointed to the highest degree of comfort and convenience. In some of the rooms, guests can find television LCD/plasma screen, internet access – wireless, internet access – wireless (complimentary), non smoking rooms, air conditioning. Throughout the day you can enjoy the relaxing atmosphere of the golf course (on site). 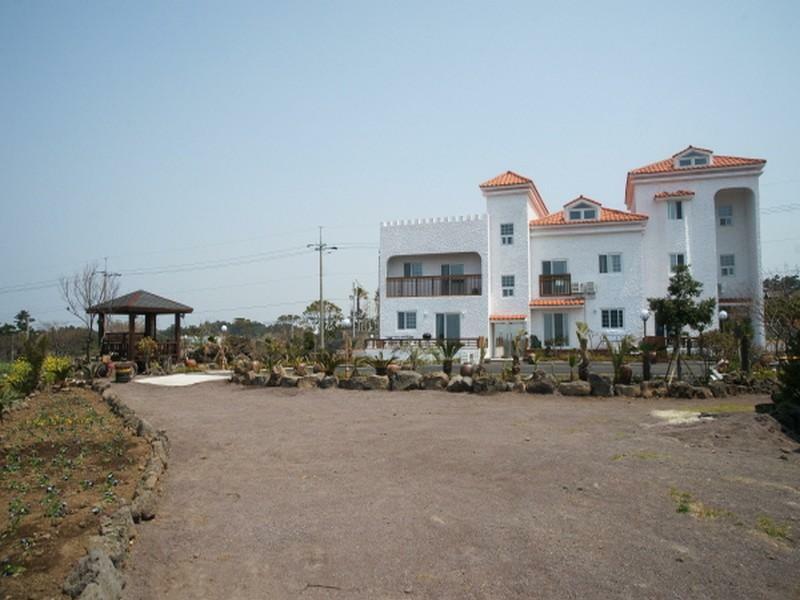 Lapaloma Pension is a smart choice for travelers to Jeju Island, offering a relaxed and hassle-free stay every time. 청소불결 화장실 변기에선 물이계속세고 쇼파는 다 뜯어진 상태 이불에선 여러사람이 쓰던 땀 냄새가 나서 누워있기조차불편했다. 편의시절 자체도 없거니와 왼만하면 잘자는데 한림엔 방을 얻지 않는게 좋을듯하다. 별로 좋은기역이 없다. 단점은 냉장고에 생수가 준비 안 되어 있다는 점! 그런데 데스크가면 삼다수를 천원에 팔아요! 또 모기장 청소가 안 되어 있어서 쪼꿈 지저분하다고 느낄 수 있어요 그러나 새소리에 잠깨는 기분좋은 하루하루를 만끽할 수 있어요!!! 침대나 욕실 화장실 모두 깨끗합니다!!! 숙소, 위생상태 ,주차장 및 기타 부대시설 모두 다 기대 이상었습니다. 성수기 피해가서 인지 가격대비 아주 훌륭했습니다. 위치가 큰 길에서 살짝 들어오지만 도보로 바다 및 식당 이용 10분 내로 다 가능하였습니다. 다음에 또 오고 싶네요!